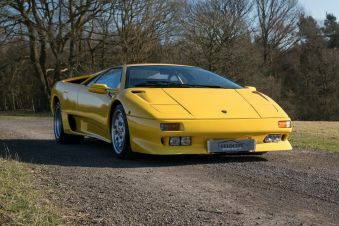 Carsnip are pleased to offer a wide variety of used Lamborghini cars. With 551 cars from the Lamborghini range available across the country, you’re sure to find the vehicle that’s right for you today. Check out our selection of used Lamborghini cars here. Italian manufacturer Lamborghini produces ferociously powerful and stylish supercars. Now with Audi as a parent company, Lamborghini combines the benefits of German engineering with the brand’s traditional Italian style, meaning that the reliability issues which were infamously common have started to improve. Lamborghini’s most successful car is the Gallardo. Introduced in 2003 and revised in 2006, their 5.0-litre V10 engine returns an immense 492bhp. This was replaced in 2014 by the Huracan, which continues the angular aesthetic of the brand and returns 571bhp from its 5.2-litre V10. Unsurprisingly, they’re expensive to run, but this isn’t likely to be a major concern if you’re considering a purchase.